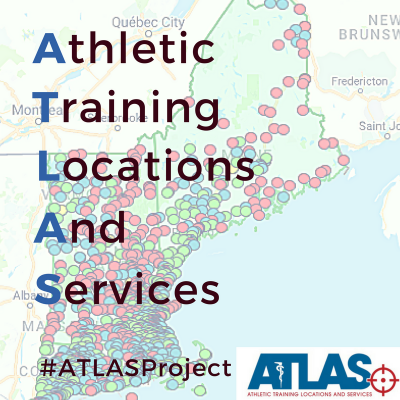 The ATLAS Project emerged from previous research conducted by KSI on behalf of the National Athletic Trainers’ Association (NATA) with the primary intention of developing a real-time database of athletic training services in secondary schools throughout the U.S. Three studies 1) Athletic training services in public secondary schools: a benchmark study. 2) Athletic trainer services in US private secondary schools. and 3) Athletic trainer services in public and private secondary schools. served as the platform from which the ATLAS Project was launched in January of 2016. Since then, with the assistance of the NATA, the NATA Secondary School Athletic Trainers’ Committee, individual state leaders, various other athletic training committees, and grassroots efforts of ATs throughout the country, the ATLAS Project has become nationally recognized. Identified common factors associated with increased athletic training services across the country. Improved the delivery of healthcare services via improved communication between secondary schools. The success of the ATLAS Project hinges upon the annual participation of the secondary school AT. In order to provide the most updated data to national, district and state NATA leadership, the the ATLAS Survey should become one of the most important surveys for secondary school ATs . To that point, KSI strives to provide current data back to the states so that progress is not hindered, key areas related to clinical practice are improved, and the health and safety needs of the student athlete are met. Each year, KSI will release an Annual ATLAS Report. This Report is meant to provide accurate information to leaders, researchers, clinicians, and the general public so that we may improve the level of care being provided in this setting.